ALTHOUGH the plaque set into the limestone walls of the Bruree National School reads 1862, the school did not open its doors to students until January 12, 1863. The school cost an estimated £255 to construct. The Board of National Education sent £170 to help with the cost after they sanctioned the school on May 17, 1861. The school was originally a one-roomed structure with room for 100 pupils but it was later expanded. The first principal was Andrew O’Keeffe who earned £32 a year. His assistant Ellen Lawlor was paid only £16 a year. Johanna Russell, another assistant, joined the school on March 1, 1863 and earned an annual salary of £14. Before the school was built, the children of Bruree attended hedge schools. In the 1830s, the parish had seven hedge schools and a Protestant school in the Glebe supported by the local vicar. Two of the hedge schools had a total of 190 students, 122 boys and 68 girls. The other five schools made no note of the numbers attending. One of the hedge schools was located in a place known as Delhi and this operated until the building of the official school. James Kelly was the teacher in this school and the hours were from nine o'clock in the morning until four o'clock in the evening. Even after the school opened, a number of local children continued to attend the hedge schools. In 1866, there was a note in the national school records about Moran brothers John, aged 7 and David, aged 5, of Clogher who were “sent to a hedge school held in their own house”. Not only was there an issue in the early years with children being moved to hedge schools but there was a note in 1869 of Patrick Sullivan who was sent home for being too young. He was only three years old. 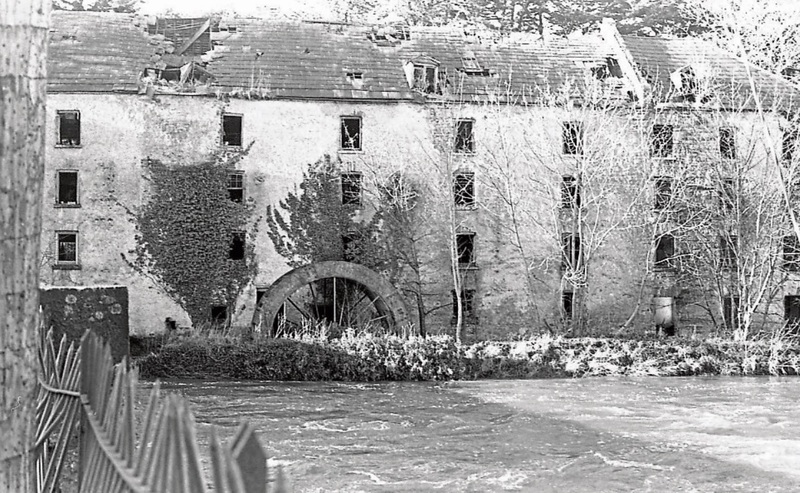 Another reason why children were missing from the school was that they were working at the Bruree Mills or became apprentices at other businesses in the area. One of the early students at the new school was Catherine Coll of Knockmore. She left Bruree National School on November 18, 1871, aged 15. She later travelled to America where her son, the most famous pupil of the school, Eamon de Valera was born on October 14, 1882 in New York. A few years later de Valera arrived back in Bruree with his uncle and was raised there by his maternal grandmother. De Valera arrived at the school in May 1888. The headmaster at the time was Thomas MacGinn. His first teacher was the young Garrett Hayes, whose aunt Kate Ruddle also taught in the school. Hayes would later become the principal of the school. He passed away in 1929. Hayes’ brothers were the Rev M Hayes, P.P. Ardagh, Rev J. Hayes, China, Dr R Hayes who fought under Thomas Ashe in 1916 and P Hayes of Rathkeale. On October 8th, 1972, just before his ninetieth birthday, President Eamon de Valera opened a small museum in the school in his own honour. He sat at his desk from eighty years earlier, according to reports at the time it still bore his carved initials. In 1997, the then President of Ireland, Mary Robinson, officially opened the refurbished Bruree National School as the De Valera Museum and Bruree Heritage Centre. This refurbishment cost £85,000 and five years to complete. The museum not only holds detail of the life of Eamon De Valera but of the surrounding Bruree area.